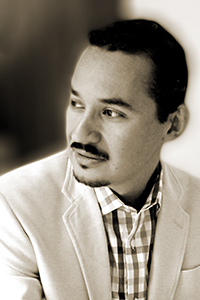 Tomás Q. Morín is the author of the poetry collection A Larger Country (American Poetry Review & Copper Canyon Press, 2012), winner of the APR/Honickman First Book Prize. He translated Pablo Neruda’s The Heights of Macchu Picchu (Copper Canyon Press, 2015), and coedited the anthology Coming Close: Forty Essays on Philip Levine with Mari L’Esperance (Prairies Lights Books, 2013). His work has been published in Poetry, Narrative, New England Review, and American Poetry Review.